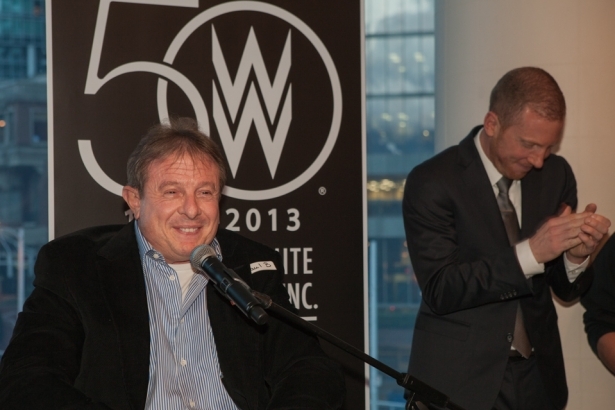 Paul Bronfman has undoubtedly shaped the film and television industry across Canada. A chain of strong partners and loyal employees has propelled his companies, Comweb and William F. White, into overwhelming success. In the mid-1970s Paul Bronfman launched his career in the entertainment industry with British band Supertramp, and Canadian band April Wine. 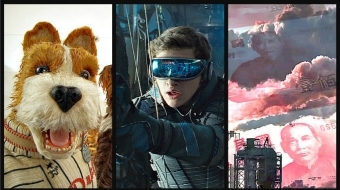 By the late 1970s, Bronfman shifted to the film and television industry, working for Astral Bellevue Pathe (now Astral Media Inc.), where he held various executive positions for the next decade. Armed with sharp business acumen and a little bit of luck, young Paul Bronfman founded Comweb Corporation in 1988. A year later, his company acquired William F. White, Canada's oldest and one of the world's largest providers of motion picture, television and theatrical production equipment. As Comweb celebrates 25 years, and William F. White celebrates 50 years, Bronfman reflects on how his entrepreneurial journey began in Vancouver with Stephen J. Cannell (creator of The A-Team, 21 Jump Street, and other notable shows), and what it takes to build lasting partnerships. VO: After a decade of working for Astral Media, what gave you the confidence to go up the entrepreneurial path and start your own company? Paul Bronfman: My wife Judy was very instrumental in me leaving Astral but I guess the other thing was to start my business with a partner like Stephen J. Cannell was a once in a lifetime opportunity. [We have the] same corporate values, same personal values, and thank God it worked out well. VO: How did you meet Stephen J. Cannell? PB: I met him when I was at Astral, when I was working as vice president of business development in 1987, and Astral was distributing Stephen Cannell’s television shows through Astral’s television distribution company. Funnily enough, Stephen originally approached my boss Lloyd Harold Greenberg, about his interest in building and managing a studio complex in Vancouver. So after a series of long maybe’s, which Harold was great at, he finally said no. Stephen asked Harold if he could speak directly to me about pursuing it on my own, and I got Harold’s blessing to talk to Stephen about the business partnership. VO: How did you strike your partnership? PB: We spent a lot of time figuring that out before we even did the partnership, not just in the shareholder’s agreement, which we had. But frankly, no contract is worth the paper it’s written on unless the spirit is upheld by each party. We decided that Cannell was going to be the majority partner in this deal because they initiated North Shore Studios. They were also going to guarantee 1/3 of the stage and the office space, which was key in getting our bank financing. It was a unanimous decision, and even though I was a minority shareholder, I never felt anything less than an equal partner. PB: Stephen was shooting his episodic television series in Vancouver so there really was no other destination ever considered. We felt that Vancouver was the best place at that time for a Hollywood-style studio complex laid out in the tradition of studios in LA. There was nothing else like it in Canada and we thought Vancouver was the best place to do it.